I've gone on record as saying that I think the real, true success of a Kickstarter is when the product being Kickstarted is made available to the general public. This is another such of those success stories. 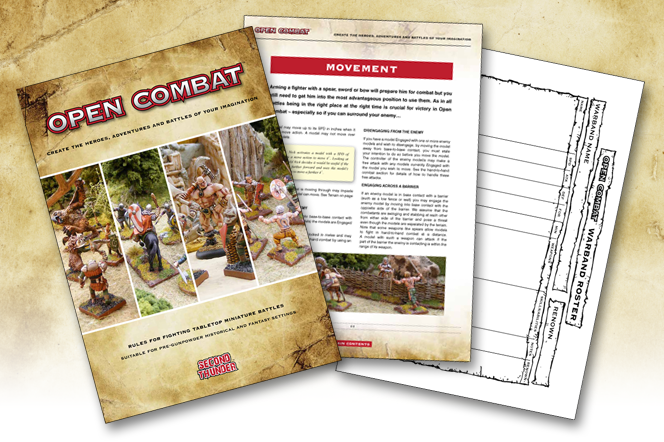 Pre-orders for the Open Combat skirmish game system hardcover rulebook are now being taken. We've made it to another Wednesday. And at the time of this posting, it's halfway through the workday. It's like the Wednesday of hours on the Wednesday of days. If only it were the 15th of the month, too. Then it'd be the Wednesday of the month on the Wednesday of the week on the Wednesday of the hour. ... or maybe I'm just taking things too far now. Anyway, we've got another bunch of bite-sized stories we've collected. This installment we have: The Fiver from The Meeple Mechanic about Tesla vs. Edison, Kromlech gives you the bird, New 2mm Coastal Items from Brigade Models, Special Deal on Pulp Figures from Sally 4th, Pretty Pretty Pictures & Shipping Update for Super Dungeon Explore, MiniWorlds: Finally Mini-Texture arrived, Dies Irae news from Tercio Creativo, Rebel Minis Releases More 15mm Pulp Packs, Ral Partha Europe Miniatures Sci-fi Amphibians kickstarter now live, New Print-and-Play Cedar Mountain Board Game from Wargame Shop, Mage Company Previews 12 Realms: bedtime Story Kickstarter, Deep-Cut Studio releases new sandy desert theme mats, Big Book of Bloodlines Kickstarter launches, Embers Design Studios Launches The City of Brass web-based tabletop RPG app Kickstarter, 15mm Fantasy Buildings pre-order offer at 15mm.co.uk, Open Combat hits initial funding level, and the Figopedia now available from Figone. Second Thunder Ltd. is running a Kickstarter campaign for Open Combat, their new miniatures skirmish rules set. The game is set for pre-gunpowder historical or fantasy settings. The game doesn't have any specific miniatures set for it, so you can use whatever figures you have around. The game is designed to be played on just a 2' square, so it's something you can set up and play just about anywhere. The campaign will be up for another 22 days. 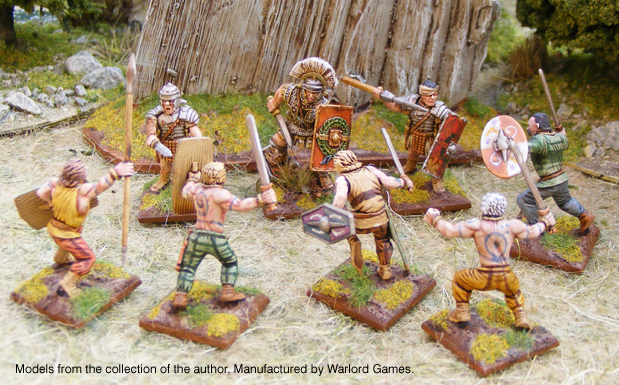 Second Thunder gives us a look inside their new Open Combat minis game. Check it out in this overview video. Open Combat author, Carl Brown, has posted a video overview of the rules system covering some of the mechanics of the new tabletop skirmish game. In response to player feedback the 50 page PDF rules have recently had a guide to creating your first profile, a brief FAQ and a quick reference sheet added. Now is the perfect time to join the fun in Open Combat. 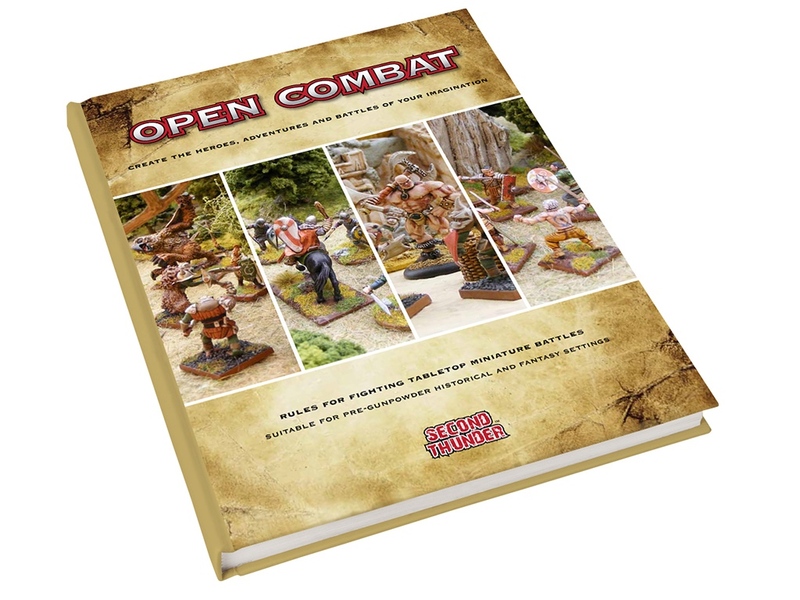 Gav Thorpe gives us an inside look at the design of Open Combat, the new pre-gunpowder and fantasy skirmish game, over on his blog. As some of you will be aware, I’ve been pootling about doing a bit of games design work in my free time, mostly for the fun of it because who doesn’t like inventing games, right? 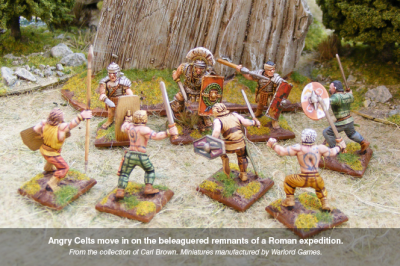 None of those projects are quite ready for the light of day, either commercially or just to share, but for the past three years I have also been helping out my friend Carl Brown* on a new skirmish wargame called Open Combat. Second Thunder has a new set of rules for pre-gunpowder and fantasy miniatures. The game's called Open Combat. 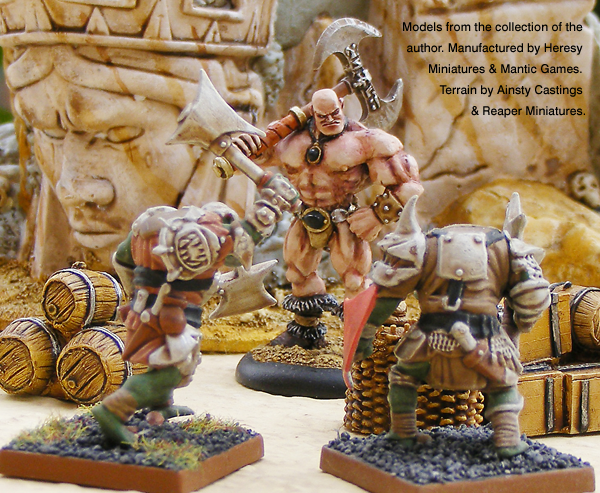 Open Combat is a tabletop miniature wargame suitable for any pre- gunpowder historical period or fantasy setting. A fast-paced skirmish-level game that lets you create the heroes, battles and adventures of your imagination.